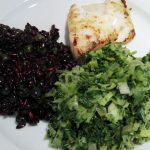 The recipe is quite simple – just add all of the ingredients for the energy balls to a food processor and process till you get a dough like paste. I usually process until a sort or ball has formed and then dissolved again. A portion makes about 15 small-medium balls, about a teaspoon of paste per ball. Use your hands to roll the balls. Note this will make your hands yellow, but is washes off again easily. As you can see I made them with two different toppings, one rolled in a bit of turmeric infused desiccated coconut, to give it that light yellow color, and one with a drizzle of white chocolate (so yummy). 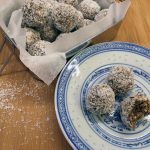 For the ones rolled in desiccated coconut, simply mix the desiccated coconut with a pinch of turmeric and roll the Mango Turmeric Energy Balls in the desiccated coconut immediately. Then place them in the refrigerator to firm up a bit, before eating them. For the Mango Turmeric Energy Balls with the white chocolate drizzle, I recommend placing the energy balls in the refrigerator for about 15 minutes before adding the white chocolate drizzle. 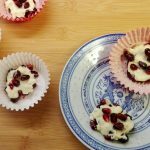 You can spend the time tidying up your kitchen and melting the chocolate 😉 Either melt the white chocolate au-bain-marie (water bath) or in the microwave oven. If you are a chocolate geek and need the chocolate to shine, you need to temper it. Since I’m not even sure I’m using the term right, I’m obviously not the right person to tell you how to do that 😉 So here is a link on how to! note there are different target temperatures for different kinds of chocolate. 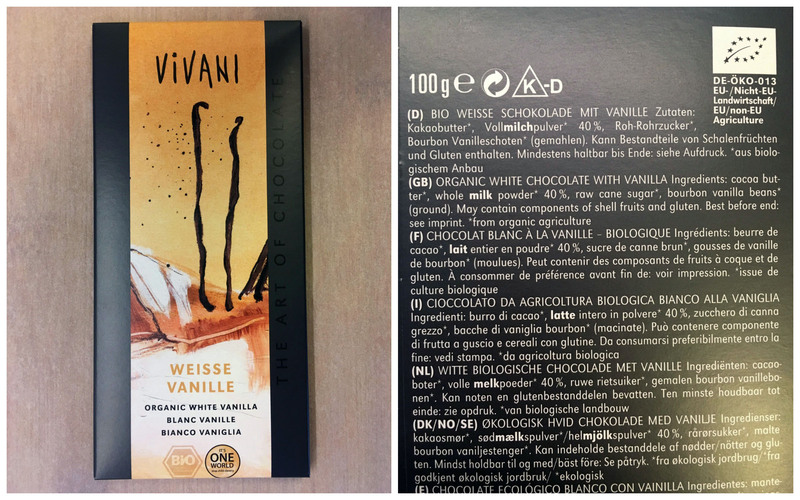 I normally use the white chocolate from Vivani, because it doesn’t have any weird additives in it (see resources below, for where to buy this chocolate). If you are dairy free, you of course need to find a vegan white chocolate instead. If you know of a great brand of vegan white chocolate without all kinds of nasty add in, I would love to hear about it! 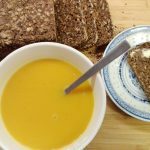 Please share in the comments below, for every one to see 🙂 Once you have melted your chocolate simply drizzle it over the cooled Mango Turmeric Energy Balls, using a teaspoon or a small piping bag. Place them back in the refrigerator to allow the chocolate to set, or just put them in your mouth immediately, if you can’t resist any longer. 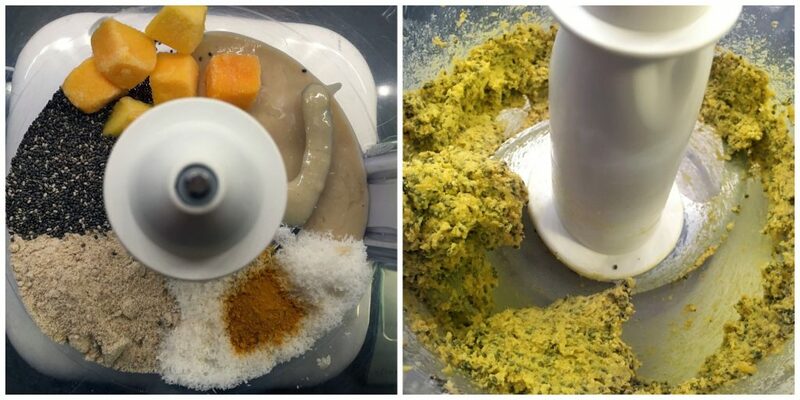 Add all of the ingredients for the energy balls to a food processor and process till you get a dough like paste. 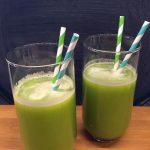 I usually process until a sort or ball has formed and then dissolved again. Form about 15 small-medium balls, about a teaspoon of paste per ball. Use your hands to roll the balls. 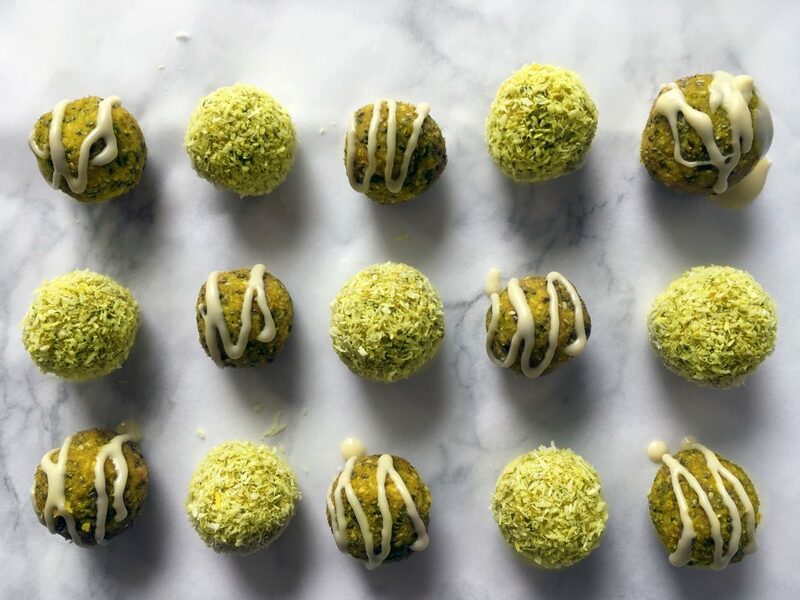 I made the energy balls with two different toppings, one rolled in a bit of turmeric infused desiccated coconut, to give it that light yellow color, and one with a drizzle of white chocolate (so yummy). 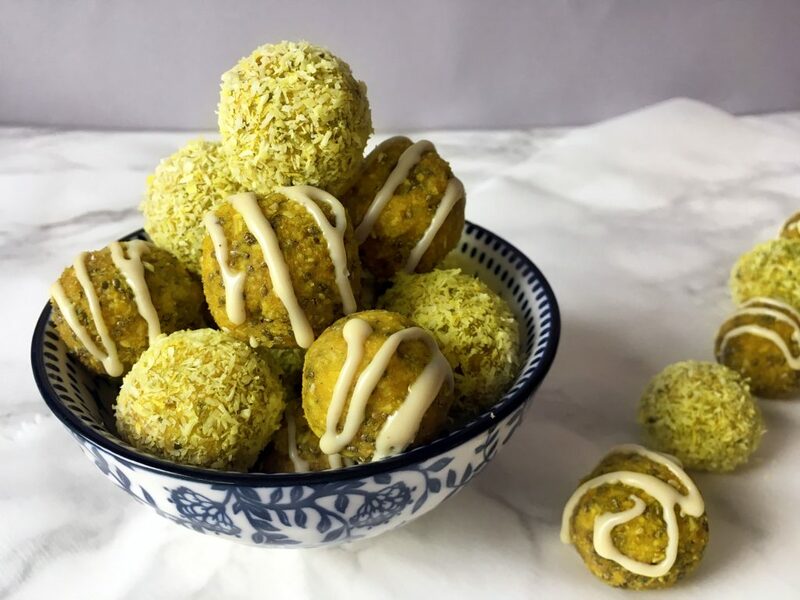 For the ones rolled in desiccated coconut, simply mix the desiccated coconut with a pinch of turmeric and roll the Mango Turmeric Energy Balls in the desiccated coconut immediately. Then place them in the refrigerator to firm up a bit, before eating them. 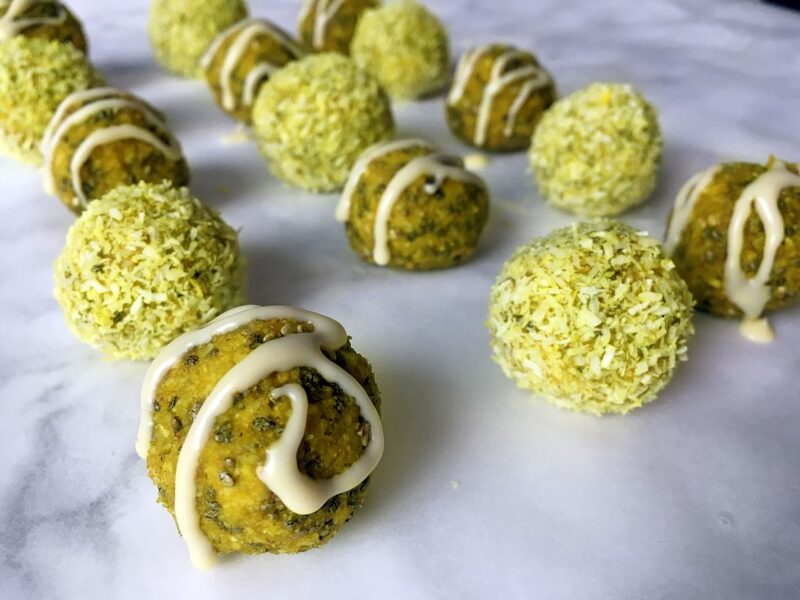 For the Mango Turmeric Energy Balls with the white chocolate drizzle, I recommend placing the energy balls in the refrigerator for about 15 minutes before adding the white chocolate drizzle. You can spend the time tidying up your kitchen and melting the chocolate. Either melt the white chocolate au-bain-marie (water bath) or in the microwave oven. 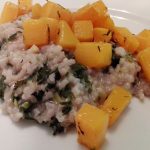 You can store them in the refrigerator for one or two days, depending on your sensitivities to leftovers, or simply just place them in the freezer till next time you want one of these. Enjoy. In all disclosure the link to amazon below are affiliate links, which means that if you click on to the product in question and buy it, I get a small commission. This will hopefully help me to cover some of the costs to running this blog. However, this does not cost you anything additional when you order through one of these links.